A place of hope and healing. Providing Christ-centered, life-transforming solutions to persons facing hunger and homelessness. A community mobilized to transform lives and end hunger and homelessness. The Phoenix Rescue Mission had very humble beginnings. In 1952, LeRoy Davidson, a 28-year-old Phoenix house painter, attended a service where he talked with Jimmy Carr from California about the need for a Christian mission in Phoenix. Jimmy, LeRoy, and LeRoy’s wife, Grace, felt that the Lord had laid it on their hearts to save the souls of the men struggling on the streets of Phoenix. The first evening of operation, a simple meal was prepared to be served after the gospel was shared. The Davidsons’ eight-year-old son, Stanley, helped his mother make plain sandwiches of bread and bologna to be served with Kool-Aid. About 15 migrant workers and vagrants attended, sitting on wooden planks supported by paint cans. Grace named their new venture the Phoenix Gospel Mission. The Mission grew so quickly that it had to move twice within two years. In 1954, six local businessmen incorporated the Phoenix Gospel Mission at a location on South 3rd Street, on the current location of Chase Field. Reverend Carl Spacone joined the Mission as a Board member in 1963 and became the Executive Director in 1969. That same year, the Mission moved to the former Utah Hotel at 440 W. Washington Street (now the site of Comerica Theater). For 22 years at that location, the Mission provided showers, three meals per day, clothing, family events, Sunday school, food boxes, and six beds for addiction recovery. In 1991, urban renewal forced the relocation of the Mission to 35th Avenue. Reverend Spacone passed away in 1993, leaving his wife Dorothy to carry on as Acting Director. Dorothy ran the Mission until 1994, when she hired Don Johnson as Executive Director. Under his leadership the Mission continued to grow and change. 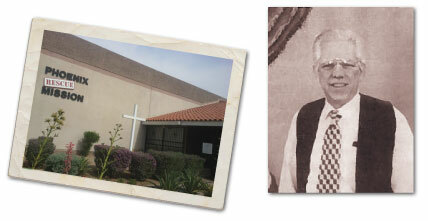 The Phoenix Gospel Mission became the Phoenix Rescue Mission in 1997. In the spring of 1999, the Board of Directors appointed Jerry Sandvig as its Executive Director. Under Jerry’s watch, the Mission expanded its services with outreach to the surrounding community, serving thousands of children and families at special events throughout the year by providing food, clothing, and other items they otherwise would not receive. Jerry ended his tenure as President and CEO with the opening of the brand new Changing Lives Center, a specialized facility for homeless women and their children. 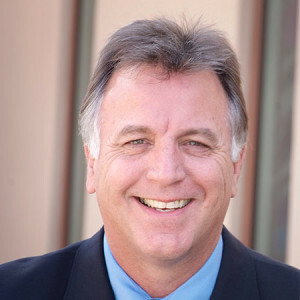 Jay A. Cory became the new President and CEO in 2011, bringing more than 20 years of experience building and directing Christ-centered recovery programs. Before coming to Phoenix, Jay served as Executive Vice President of Atlanta Mission, in Atlanta, Georgia. Jay has a true passion for helping the addicted heal and re-enter society as healthy Christians. Under his leadership, the Mission plans to expand its shelter and recovery services. God continues to call us to grow and serve more people. As we do, we will continue to see that we are cared for by the Lord and so many other faithful Mission friends! After quick initial growth, the original Phoenix Gospel Mission settles in a building on Jackson and S. 3rd St., the current site of Chase Field. The Mission serves 40 meals a day and holds a nightly chapel service. In 1969, Phoenix Gospel Mission moves to the Utah Hotel on 4th Ave. and Washington, currently the site of Comerica Theater. The Operating Budget printed in the Dec. 1963 newsletter shows total expenses of $137.53. Carl Spacone serves as the first Executive Director of the Mission until his death in 1993. His wife, Dorothy, who served as bookkeeper and women’s counselor, takes over her husband’s role as Executive Director for the next year. She and Carl raised seven children. 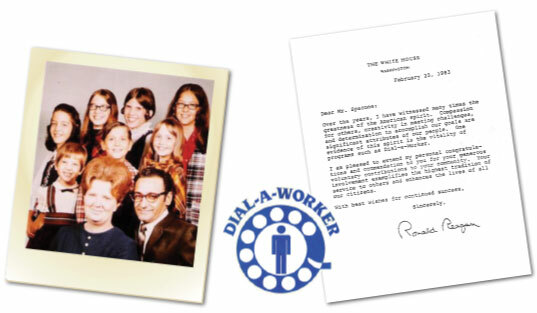 The Dial-A-Worker program gains recognition from President Ronald Reagan. In 1991, eminent domain requires the Mission to move again. Phoenix Gospel Mission is moved to the current Community Services Center location at 1801 S. 35th Ave.
Don Johnson becomes the next Executive Director in 1994 and the Mission continues to grow. 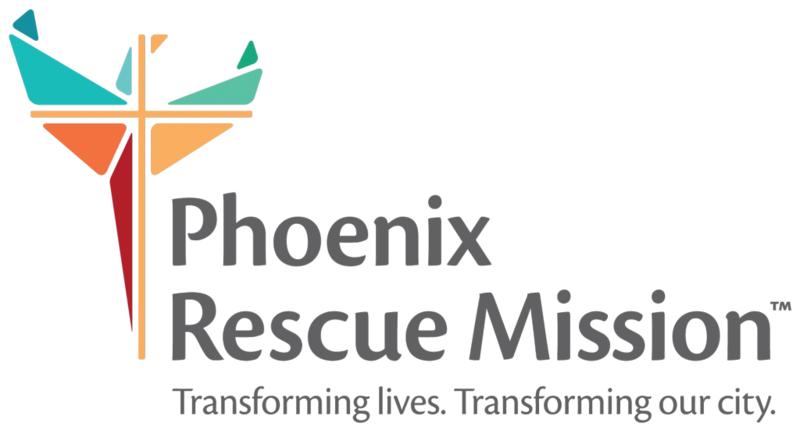 Phoenix Gospel Mission changes its name to Phoenix Rescue Mission. Jerry Sandvig joins the Mission staff as Executive Director in 1999. During Jerry’s tenure the number of employees grows from 9 to 50 as programs expand to meet the need. The Changing Lives Center, PRM’s dream to serve the needs of women and children, takes shape. The Hope Coach begins serving the needs of those living on the street. The Changing Lives Center for Women and Children opens in August, 2011. Jay Cory joins the Mission team as its current President and CEO. He sets a new vision for the Phoenix Rescue Mission - to end hunger and homelessness by transforming lives and mobilizing our community. Jay has served as the President and CEO of the Phoenix Rescue Mission since September 2011. Under his leadership, the Mission has experienced significant expansion and recognition in the Valley of the Sun. Jay has over 25 years of senior leadership experience in Christ-centered rescue and recovery ministry with a proven track record of success in building ministries and recovery programs. Prior to coming to the Phoenix, Jay served with Atlanta Mission for 17 years. He has served on numerous Boards including the Association of Gospel Rescue Missions, and been appointed by two Arizona Governors to serve on Commissions. He earned his BA from Furman University and his MBA from Clemson. He is a Master's Addiction Counselor, Certified Clinical Supervisor, and an ordained minister. He is an experienced speaker, consultant, and trainer in Christian leadership development, strategic planning, and Christ-centered recovery. He and his wife Chrissie reside in Avondale, Arizona. While serving at the Phoenix Rescue Mission, I’ve seen the desperate need for renovation and expansion of the men’s shelter, along with providing emergency shelter for women. There is also an increased demand for more capacity in our recovery program. God has impressed the need for us to be bold and step out in faith. We’re currently searching for a 200-bed location where our recovery program can grow to its full potential, and free up space to expand our men’s shelter. God has also given us a vision to create a brand new area of ministry at the Mission. We feel that God is leading us to create a social enterprise that will be fully operated by the graduates of our recovery program. This will not only provide opportunities for on-the-job training and offer valuable experience, but it will also generate another stream of revenue to be reinvested into the Mission. It’s very clear that we must rally our community of volunteers and supporters who have so faithfully stood with us through the years to achieve these God-inspired, God-sized plans. Thank you so much for standing in the gap with the Phoenix Rescue Mission for those in need so faithfully these past 60-plus years, and for making the transformation of lives possible. We will strive to keep you updated as God continues to unfold these new plans. You can give with confidence to the Phoenix Rescue Mission, which has more than six decades of proven history in transforming lives in the community. Seventy-five cents of every dollar spent goes directly to programs and services. We are an accredited charity with the Better Business Bureau, the Evangelical Council for Financial Accountability, and GuideStar. We are also members of the Association of Gospel Rescue Missions, which holds us accountable for stewardship and other vital aspects of the ministry. The Phoenix Rescue Mission is a 501c3 non-profit organization and is funded almost entirely by individuals, churches, businesses, foundations, and other organizations. We welcome you to download and use our logo in your collateral if you are running a collection, campaign, event, program, or promotion in association with the Mission. Our only request is that it is always used in accordance with with our brand guidelines.